The United Kingdom Gambling Commission (UKGC) announced today the latest in a long-running series of consumer-protection and problem-gambling violations, hitting 32Red with a £2 million fine for an ongoing series of violations involving a single problem gambler who was allowed to deposit £758,000 on the site between November 2014 and April 2017. Per a UKGC statement, 32Red failed to act on at least 22 separate incidents that should have indicated to 32Red that the unnamed individual was a problem gambler. 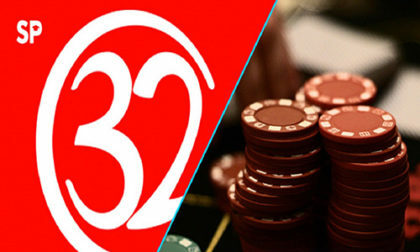 Instead of determining whether the customer had the means to gamble at such stakes, conducting social-responsibility or money-laundering checks, 32Red merely offered deposit bonuses designed to induce the addictive gambler into additional deposits. The period of time covered by the investigation and subsequent fine were before the acquisition of the 32Red family of brands (including RoxyPalace and others) by Kindred Group Plc. last June. However, the period of time covered by the investigation also does not include the period from 2011, when the unnamed punter joined the site, to November of 2014, when 32Red first received United Kingdom licensing. The Gambling Commission’s investigation revealed that the unnamed gambler was wagering far beyond his actual means. The addicted punter turned out to make only an average of £2,150 a month, yet was making average monthly deposits of about £45,000. Richard Watson, the UKGC’s Executive Director, said: “Instead of checking on the welfare of a customer displaying problem gambling behaviour, 32Red encouraged the customer to gamble more – this is the exact opposite of what they are supposed to be doing.